Adiabatic calorimetry is becoming increasingly important in many areas of modern materials research and safety engineering. 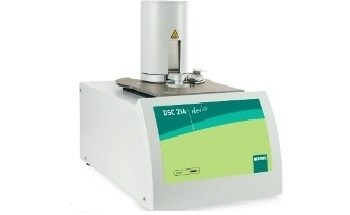 As a compact tabletop unit, the newly developed Netzsch MMC 274 Nexus closes the gap between large adiabatic reaction calorimeters and small differential scanning calorimeters. 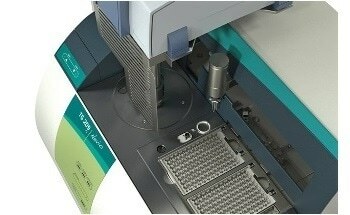 This instrument allows for the analysis of relatively large sample volumes consisting of several milliliters. During the measurements, additional substances can be injected and/or mixing of heterogeneous substances can be secured. Changes in pressure resulting from the reaction are also recorded. Furthermore, in addition to purely adiabatic or purely isothermal measurements, the investigations can be carried out in Scanning mode. Properties such as heat capacities can thus be quickly and precisely analyzed. 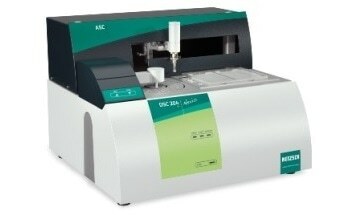 Also, exothermic and endothermic effects can be quantitatively characterized with the MMC 274 Nexus. This offers the user nearly unlimited application possibilities. Determination of the physical parameters of materials. The MMC 274 Nexus can be operated in a great variety of modes (adiabatic, constant heating rate, constant power input, isothermal) or in the Heat-Wait-Search mode. Furthermore it is faster and easier to operate than conventional adiabatic reaction calorimeters while providing considerably higher sensitivity in many areas.